Thomas Paine wrote about the Goddess of Liberty in his 1775 poem “The Liberty Tree” in which he describes her coming down from the sky to plant the tree of liberty--a Native American concept. When the Colonial artists put their hands to it, the Indian Princess was seen everywhere, supported by the Liberty goddess and surrounded by many other supplemental goddesses representing wisdom, abundance, and victory. The lines between them began to blur as the Indian Princess started wearing Liberty’s clothes and carrying her implements. 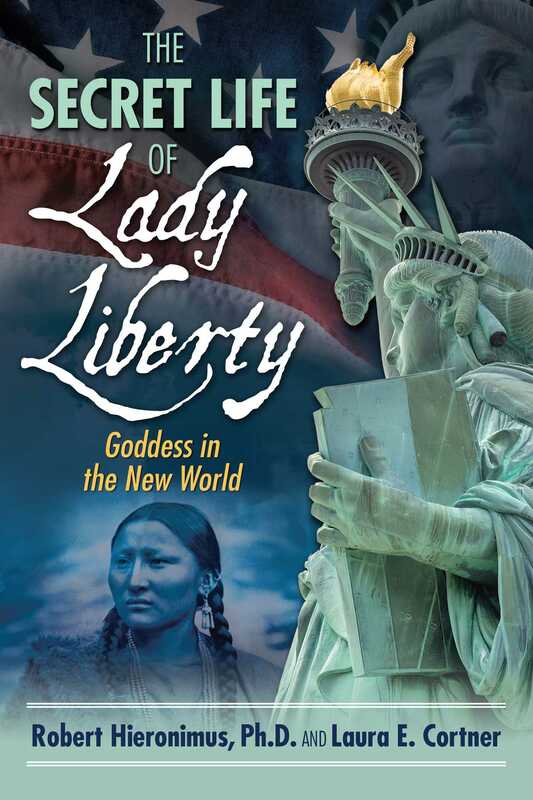 Once the nation was born, the Indian Princess/Liberty really exploded in popularity. The brand new U.S. government used a refined version of the Indian Princess as the symbol for themselves on all but one of the earliest Congressional medals. For a short while in U.S. history, the brightest minds of the Revolutionary generation saw themselves as this Indian Princess. They were not ashamed to emulate the Native Americans and acknowledge how much they owed to them. From our modern perspective, it’s hard to appreciate the dominant influence the Indians had over the Colonists during this era. In the generations before the Revolution, the Indians controlled the balance of power between the French and the British. Indians controlled all the key routes for commerce and negotiation. The discovery of a community of self-governing Indians in an uncorrupted natural environment was the spark needed to set the Age of Enlightenment in motion. Philosophers like Locke, Rousseau, and Voltaire started writing about “man in his natural state,” referring to the Native Americans and their realization of individual liberty. As Locke put it: “In the Beginning all the World was America.” Rousseau said, “The state reached by most of the savage nations known to us . . . [is] the state least subject to revolutions, the best state for man.”23 Europeans feared the Native Americans, but grew to admire them as well, and learning about them led the great European philosophers to challenge the age-old hierarchical control of the church and state, which eventually culminated in the American Revolution. The most convincing evidence is to see these opinions in the words of the founders themselves. John Adams wrote in his Defence of the Constitutions in 1787 that the U.S. Constitution was their attempt to “set up a government of . . . modern Indians.” The Second Continental Congress invited 21 Iroquois sachems to observe the debates over independence in May and June of 1776. The Indians camped out in the room above Congress on the second floor. At the end of this observation period, they gave John Hancock, the president of the Congress, an Indian name, Karanduan, or the Great Tree, likening him to their own Great Law of Peace, the central hub around which all their law radiated. The Iroquois tell of a Peacemaker prophet who walked the lands many years ago trying to convince the warring nations to give up their blood feud ways and bury the hatchet under the Tree of Peace. Deganawidah is said to have spoken through Aionwatha, and with the help of the first Clan Mother Jikonsahseh, who convinced her people to listen to the prophetic words, they established the Great Law of Peace. The oral traditions recount this happened on a date in late summer on which an eclipse occurred, and Seneca Barbara Alice Mann collaborated with astronomer Jerry Fields at the University of Toledo to pinpoint the very year. Combining astronomical data with oral traditions Mann and Fields have confirmed the Iroquois Great Law of Peace was enacted in A.D. 1142. This means there has been a representational form of government keeping the peace over a wide expanse of the Americas for hundreds of years before Columbus was even born. The role of the Clan Mothers is compared to that of the Supreme Court in the U.S. design. That is because the Clan Mothers made all the most important and final decisions in their society. The reason the Great Law of Peace system worked so well for the League of the Iroquois, and for so long, but has worked only partially well for the Euro-Americans and for only 200 some years, is because the Euro-Americans left out the women, the family and the concept of living in relationship with the Earth. The Iroquois system had a second tier under their confederation, which was ignored or not perceived as important to the framers of the Constitution. That second tier was the Clan system of families, and the Clan system was ruled by the women. Attention to spirituality and relationship were left out of government decision-making when the women of the American Revolution were not invited to inherit the powerful role the Iroquois reserved for their Clan Mothers. Perhaps the men of the Revolutionary generation believed they could handle only one revolution at a time. Robert Hieronimus, Ph.D., is a historian, visual artist, and radio host. His weekly program, 21st Century Radio with Dr. Bob Hieronimus, broadcasts New Paradigm topics across the United States. He lives in Maryland. Laura E. Cortner has co-authored titles with Robert Hieronimus including Founding Fathers, Secret Societies and United Symbolism of America. Her work appears regularly in periodicals like UFO Magazine, FATE Magazine, and several Beatles publications. She is the director of the Ruscombe Mansion Community Health Center and lives in Maryland. The French sculptor Auguste Bartholdi drew on many sources for his creation of the Statue of Liberty, gifted by France to the USA and erected on Liberty Island in New York Harbor, the construction completed in 1886. In his research, Bartholdi visited the USA and came to understand the status of women and their reverence in Native American societies. This is a subject dear to the hearts of Dr Robert Hieronimus and Laura Cortner, long-time associates in alternative radio and authorship (see The United Symbolism of America, 15/05). The authors reveal that when Native American leaders were in peace negotiations with European settlers, they asked "Where are your women?" They already had a goddess culture, and its symbolism along with that of Neolithic, Greek, Roman, British and other models inspired the sculptor to create a Lady Liberty to personify America and her destiny. In fact, in the early days of the colony an American goddess was emerging in public art. The Statue served to embrace the nation and provide a conscience, and its symbolism was taken up by women's suffrage activists and the later feminist movement. This captivating book, with a wealth of archival material, restates the importance of women and their intrinsic roles in peacekeeping, nurturing and environmental stewardship--roles that need to be shared between the sexes.